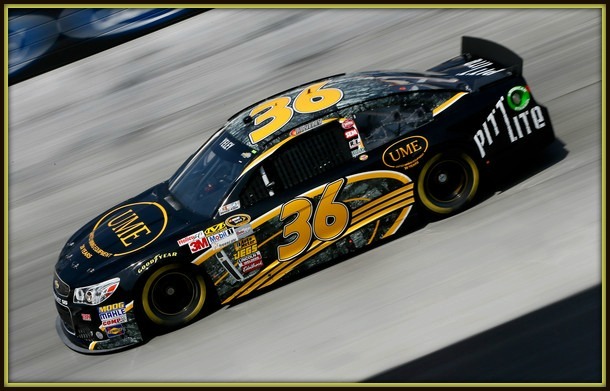 Heading to Las Vegas Motor Speedway, Xxxtreme Motorsport is preparing for their 2014 NASCAR Sprint Cup Series debut with driver JJ Yeley. Welcome aboard, Phoenix Warehouse: Joining Xxxtreme Motorsport for a multi-race deal throughout the 2014 season, Phoenix Warehouse of New Jersey and California is a first-time sponsor to NASCAR. Phoenix Warehouse is a full-service logistics warehouse and distrubution company founded in 1976. Their clear objective has been and remains, "Provide comprehensive and superior logistic services to a myriad of industries." Team owner John Cohen on welcoming Phoenix Warehouse to NASCAR: "We are happy to have Phoenix Warehouse of both New Jersey and California on our car this weekend at Las Vegas Motor Speedway. It's always great to bring new sponsors into NASCAR and see how our sport can grow their brand awareness." 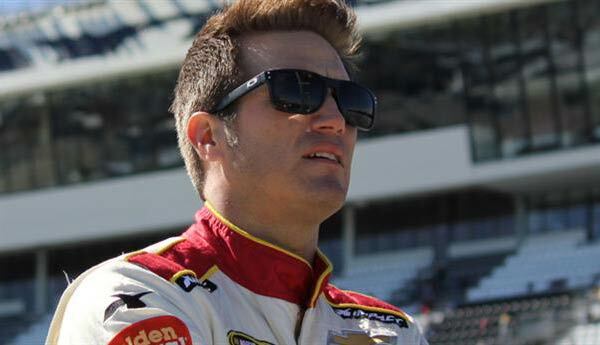 JJ Yeley on his debut with Xxxtreme Motorsport at LVMS: "I am very eager to make my debut in the No. 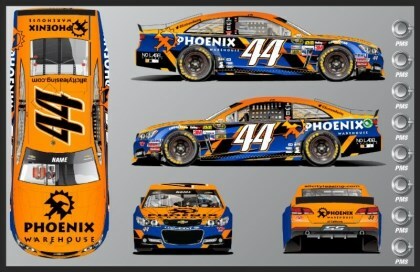 44 Phoenix Warehouse Xxxtreme Motorsport Chevrolet. Las Vegas Motor Speedway is where I started my career ten years ago, I am excited to get back out on track and back competing against other drivers while starting with a fresh team. I am looking to take my new team to a higher level and get some great finishes this season." Xxxtreme Motorsport, owned by John Cohen, operates the No. 44 Chevrolet driven by J.J. Yeley in 2014. Xxxtreme Motorsport burst onto the scene in 2009 in the NASCAR Nationwide Series. 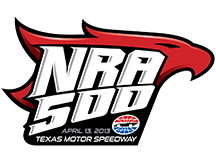 The team made their move to the NASCAR Sprint Cup Series in 2012 and looks to 2014 as a new stage in their young organization. 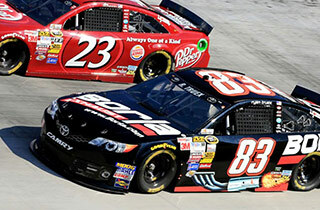 Cohen has indicated that the team will compete full-time beginning at Las Vegas Motor Speedway. Visite Xxxtreme Motorsports on the team website and on Twitter. Dawsonville continues to be a hotbed for NASCAR activity with the recent announcement that J.J. Yeley's race team has decided to bring its operations to town. "A new race team out of New York is coming down here," said Dawsonville Mayor James Grogan. "They've bought [Ernie Elliott's] facility and rented half of [Bill Elliott's] garage." Xxxtreme Motorsport owner John Cohen said that it was Dawsonville's racing support and heritage that drew his racing team. The three X's stand for exceed, excel and excite. "When I saw how big into racing Dawsonville was, I wanted to be here," he said. "I like the history of this town. If I can be part of the history of Dawsonville, it's something I want to do." Cohen, a nightclub entrepreneur who owns the M2 Ultra Lounge in New York City, said that he had been eyeing the location for a while and spent some time talking with Ernie Elliott, the shop's former owner and racing engine builder. "After we took over Ernie's engine shop, I figured we would bring the whole racing team down here," Cohen said. Cohen sponsored vehicles under the Xxxtreme Motorsport banner for drivers Josh Wise and Chase Austin in the 2009 NASCAR Nationwide Series. Currently, the shop has more than 10 employees, but Cohen said he wants to expand. "The sky's the limit here," he said. "I want to go from 10 to 40 to 500 employees. I've been told that when you win Daytona, you get a street -- when you win a championship, you get recognized here. I love that Dawsonville offers that." 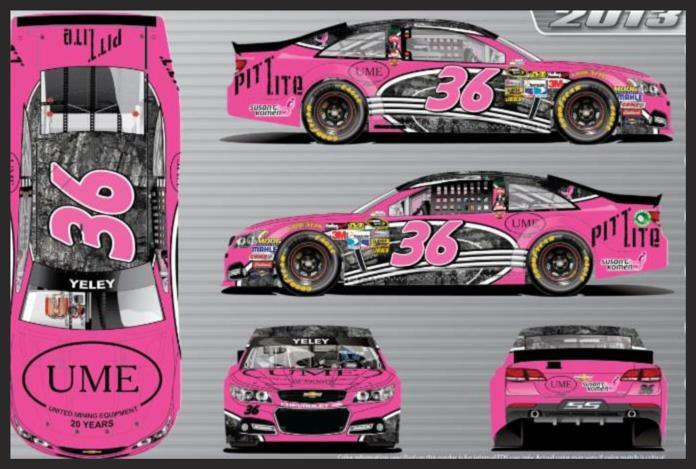 Driving for Xxxtreme this season is Yeley in the No. 44 Chevy. 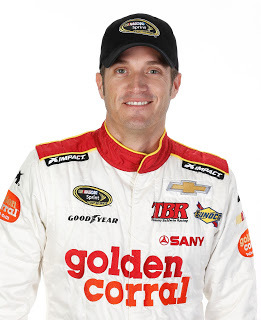 Yeley, who won the USAC Triple Crown in 2003, has two top-five finishes in the Sprint Cup series. He finished 10th in the 2013 Daytona 500 and 32nd in the point standings. "We're going for a Sprint Cup championship this year," Cohen said. "J.J. said he's never won a Sprint Cup, and he wants one of those, so we're going for it." 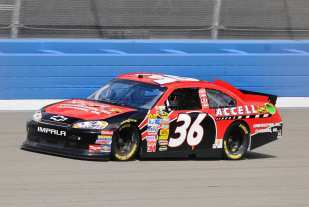 This season marks a return for Yeley, who, in 2009 broke three vertebrae during a crash in a USAC race and was forced to take time off. "If we get going good, we might get to sound the siren [at the Dawsonville Poolroom] downtown more than once, with two guys now from the area racing," Grogan said. NASCAR legend Bill Elliott's son Chase made his Nationwide racing debut two weeks ago in Daytona. He's finished with two top-10 runs so far this season. Grogan sees a bright future for having Xxxtreme Motorsports in Dawsonville. "We, as the city, are proud to have John and his company here," he said. "We are expecting great things from them and expect to have a long and lasting relationship." Yeley's first race with Xxxtreme Motorsport will be Sunday in the NASCAR Sprint Cup Series Kobalt 400 at the Las Vegas Motor Speedway. Mooresville, NC (February 13, 2014) - Xxxtreme Motorsport announced today renewed efforts to their Sprint Cup Series program and the 2014 NASCAR season. Beginning at Las Vegas Motor Speedway on March 9 the team will set out to compete full-time with J.J. Yeley as their new driver. 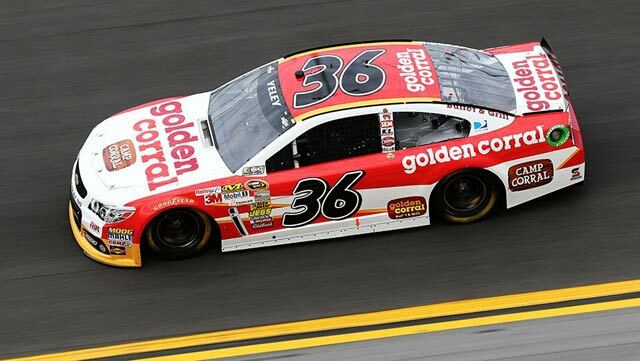 Yeley finished 32nd in points last season and will embark on his 10th year of NSCS competition. "We've switched from Ford to Chevrolet and we're going out to complete full races," team owner John Cohen said. "It's a new team effort we've never shown before as far as running the full season." Yeley was an easy decision for Cohen to hire as the two have held a great friendship since Cohen arrived in NASCAR back in late 2012. Compiling one pole, eight top 10 and two top five finishes in his short career, Yeley will pilot the team's signature No. 44 Chevrolet. "JJ and I have been friends since I came to NASCAR, we've always mentioned working together if we could. This opportunity came about when he mentioned he was available for this season and I knew that he was the driver to take our team to the next level. We've always said if we could do something together it would be pretty special," Cohen said. "JJ and I got together and we're going to try and do something special in 2014 and beyond." Yeley shares Cohen's excitement for the new beginnings of Xxxtreme Motorsport, saying, "I am excited that we were able to work it out that we can work together. John has such a deep passion for NASCAR and wanting to be a successful part of it. The program he has in place for 2014 in impressive; the engine package, being self sufficient and still being a small team yet having the feel of a larger team. That for me is all very exciting." Xxxtreme Motorsport debuted back in the fall of 2012 with David Reutimann at Phoenix. 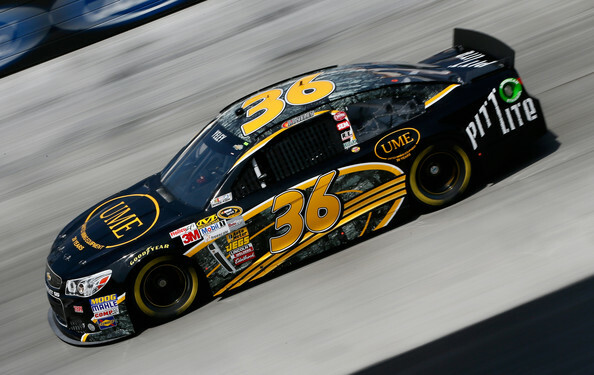 Scott Riggs drove for the company during the 2013 season. Walter Giles will remain the team's Crew Chief while a sponsor will be announced before the Kobalt Tools 400 at Las Vegas Motor Speedway. Visite Xxxtreme Motorsports on the website. Faith Anne Heads to Homestead! Around the track, they say "rubbin' is racin,'" but in the video game world of "NASCAR Unleashed," it's more like the "crash and dash" as wrecking your rival is the quickest way to move up in the rankings. 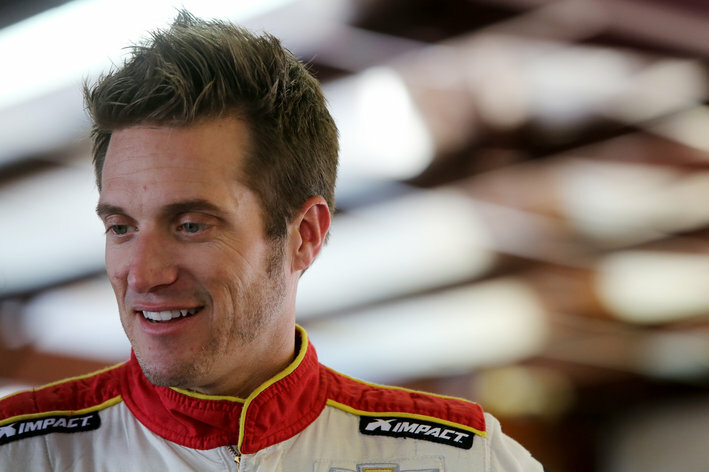 A tactic NASCAR driver and "Unleashed" fan J.J. Yeley loves about the new game. "The beauty of the video game is there's smoke, there's fire, you're flipping and it all looks cool, but at the end, the computer resets itself and you're still racing," Yeley tells me over the phone as we talk NASCAR and the state of virtual driving. "In real life, it's very scary. The speed we're traveling and the impact we're hitting another car or hitting the wall, and that feeling of not being able to control what's happening ... you're going around a corner at 190 miles per hour and that split second when you blow a tire and the time between you blowing a tire and hitting the fence, as a driver, that takes an eternity because you know what's coming, you know it's going to hurt, but you can't change it.